I have shared my opinion of Van's Natural Foods with you many times! I love their company and their products. I wouldn't make it through my Gluten Free days without Van's waffles, that's for sure! Whether it’s a quick, warm, nutritious breakfast, an allergy-friendly stand-in for bread, or a delicious whole-grain dessert, Van’s waffles are popping up in all kinds of recipes that can be shared again and again. Grab the recipe for this delicious Cheesy Chimichurri Waffle Panini and make it part of your menu! 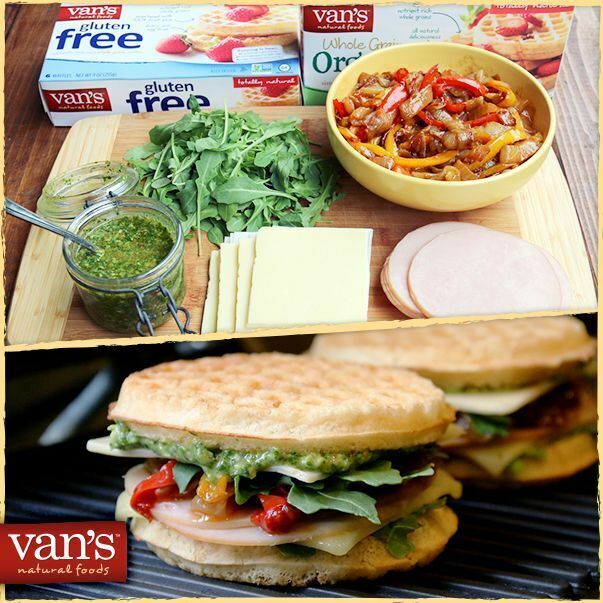 The possibilities are endless when you look at all of Van's Natural Foods product options. Another favorite of mine is their granola! It's a really great way to stay on track and savor a delicious snack. Van’s, the leader in frozen, better-for-you waffles, brings great nutrition, whole grain goodness, non-GMO verified ingredients and gluten-free options to breakfast, lunch and snack time. It's time you start the new year with a little Van's in your life!